During training a Jedi is provided with a training lightsaber by their Master. This saber normally operates at 25% of normal strength. This is to prevent serious injury to either the Padawan or the Master. 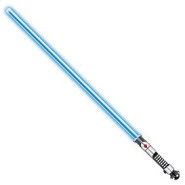 Upon completion of their training a Jedi is expected to build a lightsaber to suit their personal combat form. This process of construction takes up to 6 weeks and can only be properly completed by a true Jedi due to the intricacy of the work involved. 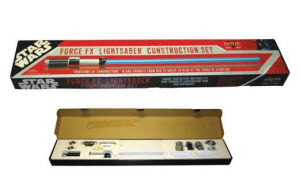 A Jedi "bonds" with their lightsaber as they build it.